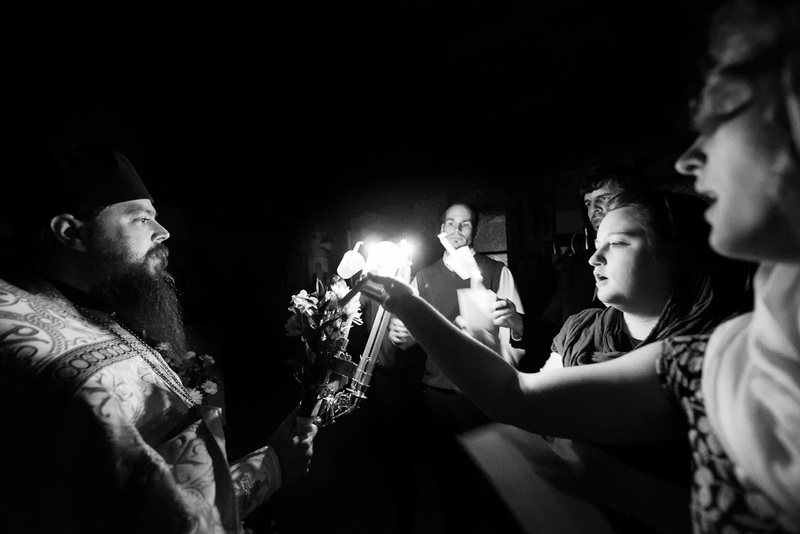 By the mercy of God, 2012 marks the 10th year since the founding of Christ the Savior Orthodox Church in Wayne, WV and we are seeking to honor this anniversary with a festive celebration on Dec. 2nd at Christ the Savior Church. 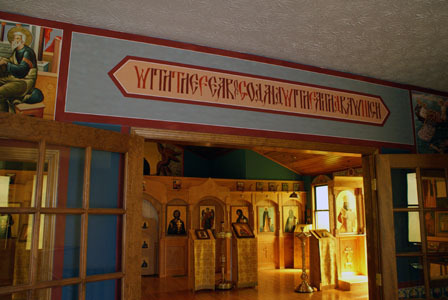 In connection with this historic anniversary, we are working very hard to transform the interior of our church into a beautifully frescoed space where our parishioners and guests will be able to truly “lay aside all earthly cares” during the Divine Services. Though some of the work has already begun, essentially none of it has been paid for and we are humbly asking your support to help us transfigure our church in time for the feast. We are working with Damascene Gallery (Fr Jonah’s company) to layout and install the frescoes and other items and the work done so far has made quite an impact. We ask for your assistance in making history at Christ the Savior Church by marking this important anniversary in a way that gives glory to God and encouragement to the faithful. One important note: ALL WHO DONATE TO THIS PROJECT WILL BE PERPETUALLY COMMEMORATED DURING THE PROSKOMEDIA BEFORE ALL DIVINE LITURGIES AT CHRIST THE SAVIOR CHURCH. Thus, we ask that you please forward this page to those in your contacts who might be able to help as well. Please contact us as soon as possible so that final ordering and installation can be completed in time for our 10th Anniversary celebration. May God bless this endeavor to the glory of His Holy Name! Instructions: Please look at the list below and contact us using the form below to pledge an icon. Each icon listed will be installed as an archival quality canvas fresco icon (large format) unless stated otherwise. The price of each icon includes professional installation in the church by Damascene Gallery. Other items related to the beautification are also listed below, so be sure to have a look at those as well. Thank you for your support and may God bless you!!!! Periodic updates of this list will be sent out and a master list will be maintained on this page. Thank you, Mary and may God bless you for your generosity!